Looking for an easy to make and paleo friendly addition to your summer brunch menu? 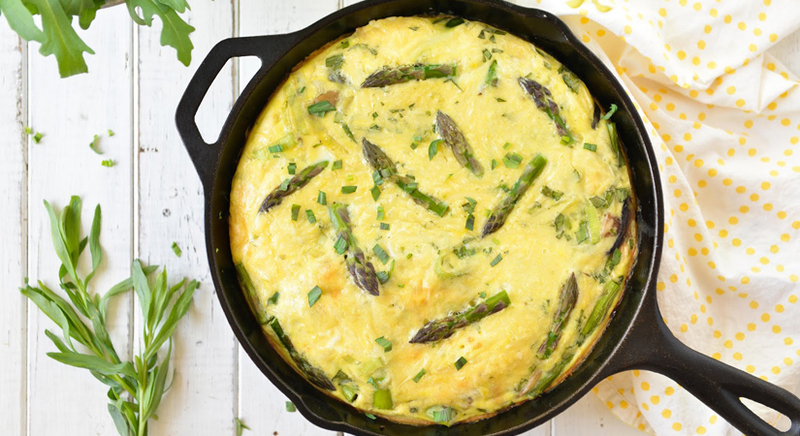 Why not try a delicious vegetable filled frittata! Frittata, which translates to “fried” in Italian, is a popular and classic egg-based dish. While it’s similar to an omelet or a crustless quiche, the way a frittata is prepared is what sets it apart. The frittata, like its Spanish cousin the tortilla española, is initially cooked on the stovetop, in a cast iron pan or oven-safe skillet, and then finished in the oven. The frittata is a simple, healthy, and economical dish which is also a fantastic vehicle for recycling leftovers! 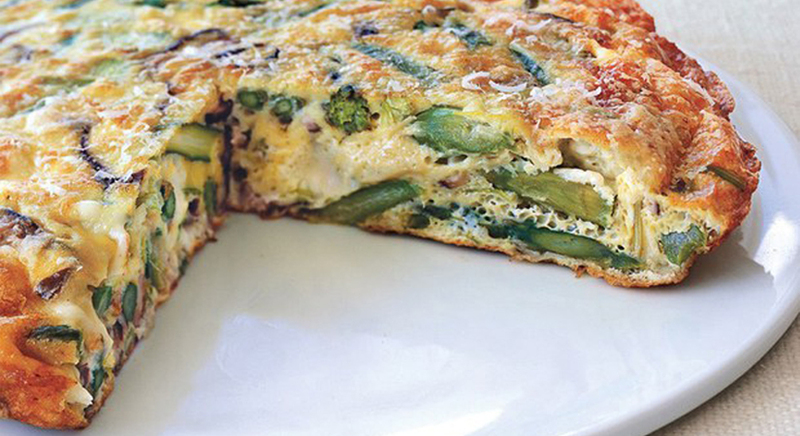 Here’s a frittata recipe that is sure to be a hit! I chose to keep this particular version vegetarian, but please feel free to add small cubes of country ham, slices of prosciutto or some grilled chicken to satisfy your inner carnivore. There is really no wrong way to make a frittata, if you follow these simple steps. * Whisk the eggs, cream, 1/2 teaspoon sea salt, and pepper in a medium bowl. * Add ¾ cup Fontina cheese to mixture and set aside. * Heat the oil and butter in a 10 inch-diameter nonstick broilerproof skillet over medium heat. * Add sliced leeks and sauté for 4 minutes until soft. 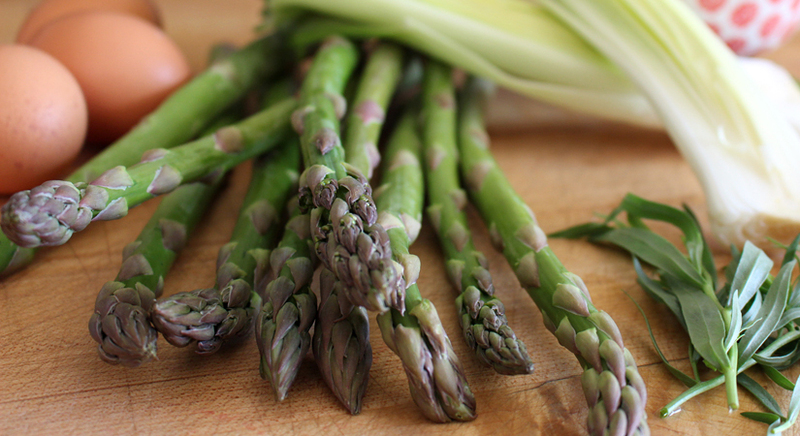 * Add asparagus and shiitake mushrooms and sauté until crisp-tender, about 3 to 3 1/2 minutes. * Pour egg mixture over vegetables and cook until the eggs begin to set. * Evenly distribute remaining ¼ cup Fontina cheese, Parmesan cheese and tarragon and continue to cook until the frittata is close to, but not quite, set. * Place the skillet under the broiler and broil until the top is completely set and golden brown, between 3 and 5 minutes. * Remove from oven and let stand for 2 minutes. Using a rubber spatula, loosen the frittata from skillet and slide the frittata onto a serving platter. * Slice and serve with a crisp frisée salad.